Barry Sonnenfeld, whose spookdentials (a “word” which here means “spooky credentials”) include Men In Black and The Addams Family, has signed on to direct Netflix’s upcoming A Series Of Unfortunate Events. Variety is reporting that Sonnenfeld will also executive produce the series, based on the bestselling books by pseudonymous author Lemony Snicket, alongside former True Blood showrunner Mark Hudis. The new show won’t be Sonnenfeld’s first brush with the woeful Baudelaire orphans and their ghastly guardian, Count Olaf. He served as an executive producer on Brad Silberling’s 2004 film of the series, which starred Jim Carrey as the vainglorious villain. Hudis, meanwhile, spent several years building up an aptitude for Gothic-tinged silliness on the HBO vampire series, which should leave Snicket’s story of arsonists, intelligent snakes, and improperly signed marriage contracts as a breath of fresh, sober air. 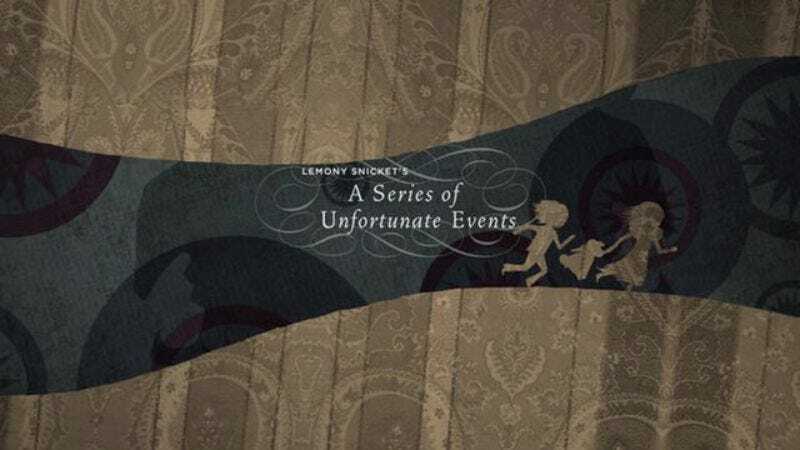 A Series Of Unfortunate Events is currently in development, with no date set yet for when production might start.